I was out with family for a birthday dinner yesterday and my wife's uncle showed me some images of Vietnam. They were taken with his 10mp phone camera and I was totally amazed by the quality and clarity of them. Photography really has become open to the masses with camera phone photos, Instagram, YouTube etc. Everyone now can produce amazing photos with no excuses! I am going to start adding sections for mobile phone photography and have created a dedicated page. This is where you can share your best mobile phone images. Please get involved and upload some of your best photos as I would love to see just how far you can go with a camera phone! There are a number of areas of photography and even video that this could be useful for. Tethering your camera to a PC or Laptop will only become more popular especially for studio photographers. 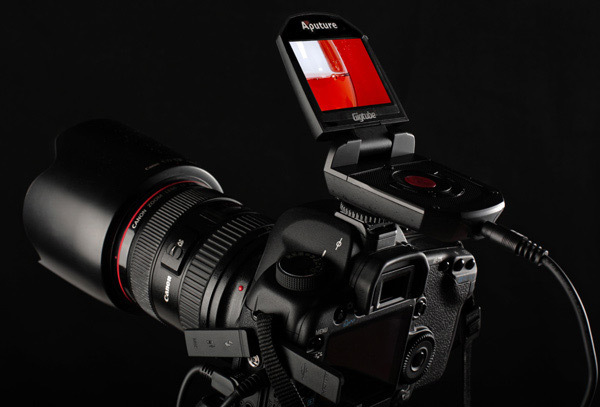 The Aputure Gigtube is a very handy piece of kit for those with DSLR's pre WiFi or Bluetooth. Read our full review below which we hope to add to when we use the Gigtube to film at an upcoming wedding next week!